In the past, Vivo managed to release a few smartphones with an unique design in a sea of Chinese imitations. 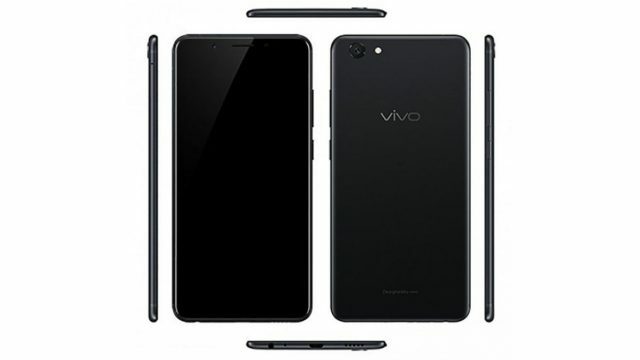 Its new smartphone seems to be the Vivo Y71. According to the TENAA certificate documents, the device is going to be released in two variants. The first of them is going to be the Vivo Y71, and the second seems to be named Vivo Y71A. TENAA is Asia’s authority for certification for all mobile devices that then go on the Chinese market. Think of it as the Chinese counterpart to the FCC. Although it is going to have its front dominated by a bezel-less display, the future Vivo Y71 will not actually integrate the traditional notch we now see on the majority of modern top smartphones. The gadget will be built around a 5.99 inch panel with a 1440×720 pixel resolution. Keeping in mind the subtle antenna lines on its sides, it is very probable that the whole frame of the phone will be made of metal. It has an audio jack port! The dimensions of this future-released smartphone are 155.87 x 75.74 x 7.8 milimeters. Its total weight is 150 grams. It is a bit strange that we don’t see any fingerprint sensor on its front, nor back. Seeing as it is not a top smartphone, it is actually probable that the respective part got removed from the design altogether. However, traditional smartphone users can rejoice for the presence of a 3.5mm stereo port in the bottom left corner of the lower frame. A microUSB port facilitates charging of this phone. Apparently, it only has one speaker on the bottom right. The hardware inside this phone includes a Snapdragon 425 processor with 3GB RAM and an internal storage memory of 32GB. On topic of recording and camera, it has a 13MP sensor on the rear, while the front part facilitates selfie-taking with a maximum resolution of 5MP. The device comes preinstalled with Android 8.0 Oreo, and the Vivo Y71 is going to use a 3285 mAh battery. The phone is going to be officially released on April 5th, with a $175 price tag. Are you looking forward to the release of this phone? Tell us in the comments! And as always, stay tuned for more gadget news!